I have so much to blog about! I'm not really sure where to start... so I'll just go back to Dallas and start there. I apologize if it gets long and boring! I left at the end of April and traveled the lonely road solo in the Grand Am. Here are some illustrations! 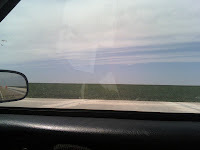 Super flat and boring most of the way! 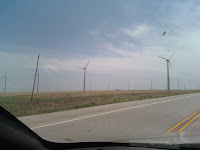 Windmill Alley- this was for miles... kind of freaky to think what might happen if one fell onto the road! 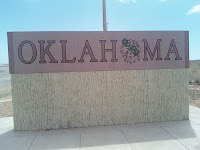 It was too dark when I got to Colorado to take a pic, so here's the Oklahoma sign! 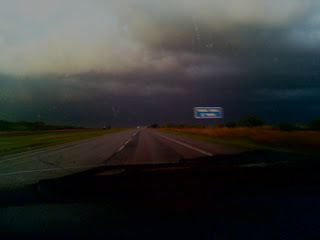 And Texas... was only in OK for about 45 minutes! 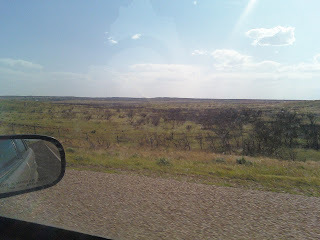 And the new scenery in Texas... not much better, eh? 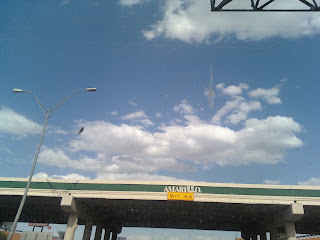 Amarillo by morning... or afternoon! We supposedly got the AC fixed before we left, but that was a lie. Shown above: the window open and me being hot and sad! 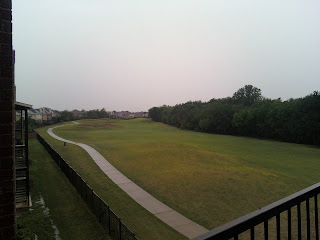 The view off of the back of the apartment- the golf course right behind the apartment. 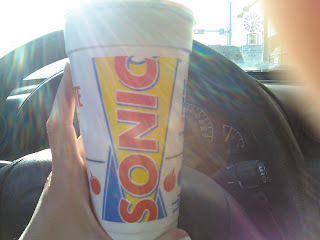 Sonic is everywhere in Texas! 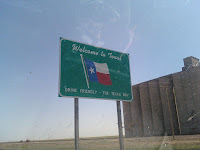 So things in Texas were hard, but good. I met some really cool people and learned how hard missionaries must have to work... except I didn't have to do it all day. When the kids finally got down to Texas, Jaran and I took them to the zoo before he went home. It was a fun time! I will do more later... but it's time to get stuff done around here! Take Care! 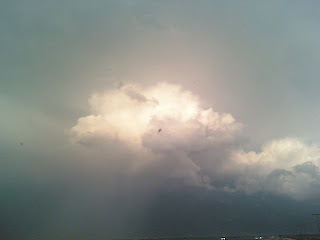 I love the pic of you with your hair blowing in the wind. My grand prix doesn't have AC any more and that is why I am driving the purple car. 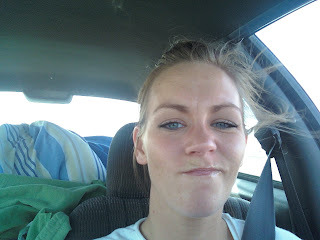 I don't know how you drove to texas w/ out the AC I would rather poke out my eyes then be hot in a car. p.s. yah for me, I posted a comment!! Wow! I bet you did a LOT of Driving! Not fun! Sorry about the AC, that blows! Love the sonic photo! Gotta love sonic! There are a bunch of sonics here, but I don't really venture there...don't know why. p.s. I dyed my hair kinda brown. I'm not sure I like it (been blonde for far too long I guess).